277 Moo 5, Naklua, Banglamung, Pattaya 20150, Thailand. Centara Grand Mirage Beach Resort Pattaya is located in close proximity to Wongamat Beach in Bang Lamung district. Famous attractions like Central Festival Pattaya Beach Mall and the Art in Paradise Museum are a 5-minute drive from here, while the Ripley's Believe it or Not Museum is a 10-minute drive away. Travellers can reach here in a 50-minute drive from U-Tapao-Rayong-Pataya International Airport. Offering breathtaking views of the ocean, the 555 lavish rooms and suites are accentuated withluxurious interiors and crafted walls. 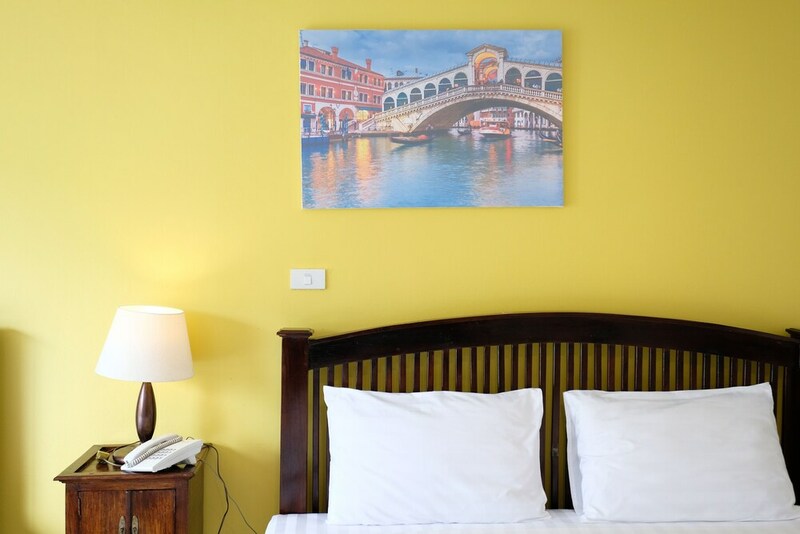 Modern rooms come with flat-screen TV with satellite channels, mini bar, air conditioning, tea/coffee maker, ceiling fans, personal safe, direct dial telephone and Wi-Fi access. A wide range of massages and beauty therapies can be availed at the on-site SPA Cenvaree that features 24 treatment rooms, steam room and sauna. For guests' recreation, the property maintains a private beach, water park, kids' club, two tennis courts, five pools, Jacuzzi, and organises various water sports activities. They also have a state-of-the-art fitness centre with aerobics, yoga, Pilates and high and low impact classes, two tennis courts and rock climbing facilities. Other conveniences include airport transfers, meeting rooms, business centre, area shuttle service and Wi-Fi access. Enjoy Italian food served at the resort's Acqua Restaurant, while Thai and Asian delights are offered at Ginger and Lime Restaurant. Also, enjoy grilled meat, seafood and exotic cocktails at Coast Beach Bar and Grill on site. Indian food lovers can head to Mantra Restaurant and Bar or Annapurna Indian Restaurant, both within a 5 minute drive away. The nearest McDonald's Restaurant is also a 5 minute drive from here. Shopaholics can buy designer clothing and accessories at Mike Shopping Mall, nearly a 10 minute drive from the property. Can use an extra bed per night for THB 1501. I enjoyed the property, balcony view, Beach Side bar and swimming pool are amazing. We really enjoyed our stay at the property. We went their for our honeymoon and it's really a great experience for us. People with family and kids should try this place. Great food and resort. Swimming pool area is very nice. Lot of activities for kids and adults. Food is very good, provide Indian food, many different type of restaurant across the world is in hotel, location is also very good. Best resort with water park ever I had stayed. The experience of the pool with private beach access added with the lazy river and water rides made an amazing stay with the family. Property is large and nicely managed and takes good time to be explored. Has all food variety to enjoy. The service and staff overall has been very courteous and professional. It is a great place to stay. Good resort with a lot of facilities specially for your kids with games room, pool etc. The spa is really nice and the private beach is a great thing for the evenings and mornings. Nice bar. Overall a pretty nice stay. The hotel has a great reception area and the lobby is really nice as well as the other facilities here. Overall a top place to stay specially with kids who have a lot to do here, games room, pool, slide play area. It is much more than a resort. You can actually spend an entire day exploring this hotel profanity theme park. All rooms are sea facing. A private beach and an in house and unique water park. Superb food. Best experience ever. Excellent property, wonderful location overlooking the beach very courteous staff prompt response to any problem rooms are just awesome with all the facilities. Can spend entire holiday in the resort. Great experience. Loved the view. Beautiful hotel. Completely lived our stay. Huge resort. Loads of activities to do. Private beach included. Highly recommended. This is my 5 trip to Pattaya but none of it was like this one. If you are looking for resort feel then this hotel will not definitely disappoint you. The swimming pool is like a water park, lots of sliders and water activities: water diving, water aerobics etc. Overall a great stay. Brilliant hotel, excellent facilities and pool. I genuinely recommend this hotel to the tourists looking for 5 star hotel in Patayaa specially who have kids kid zone l, water park everything available. View from the hotel is really nice and every single spot have something to get amazed, Indian food is available however the choices of food are very less. Hotel has 2 restaurants in the hotel and one beach side also the food is very tasty. A big swimming pool and private beach adds a lot more to it. Very good to stay, huge resort and pool. Breakfast spread was good too. It would definitely stay here again. Simply awesome experience, if you are travelling with family, probably the best hotel in Pattaya. Little far from walking street, but with family and kids its good. Kids will love it. Food was also good. Pool and the Lazy river is something that I will book again and again. Best service and is the only hotel in Pattaya with every room having sea view which is very beautiful. Great spa and recreational activities. If you're craving for sea food look no further. This is the best hotel in Pattaya. Big hotel with big inventory of rooms, couple of good restaurants - indoor as well as outdoor. Right on the beach with lots of outdoor activities at pool. A lost world theme property which is replicated in rooms too. Good for family and couples too. Only issue is if you are not on time, you might have to queue up for breakfast. Though the breakfast timings are from 6 am to 10:30 am. But people tend to reach all at once around 0900-0930 AM. It advised to hit the breakfast table a little early. Overall a very good experience. Centara Grand Mirage is truly a place to be with kids. They have a huge waterpark and a play zone for kids. They have there private beach. They upgraded me to Family suite without charging extra. Needs little improvement in room service. Have to call again and again for room service. Great Centara Grand Mirage Beach Resort Pattaya with exceptional facilities. Perfect for kids and young children. Restaurants are grossly overpriced, thus the family mart just across the road makes a killing from the Centara Grand Mirage Beach Resort Pattaya guests. The water park is very appealing to the kids. Big shout out to the activities team for keeping the guests entertained. Loved the aqua aerobics session. Breakfast does not cater to the Indian taste and the spread for the vegetarians is very poor. The water park should open early as it becomes sunny after 9 pm. The staff should understand English language. The lamp should burn till 10 pm as it make the Centara Grand Mirage Beach Resort Pattaya look grand and some restaurant to the Indian taste for lunch and dinner. The resort is huge. It has a water park and gaming facilities for the kids. The kids had a great time. The resort is one of its kind based on the theme of a jungle the lost world. The resort also has a beach where jet skiing is also done. The breakfast should have more Indian vegetarian options. Very nice property, sea view Centara Grand Mirage Beach Resort Pattaya, private beach and water sports facility available. Overall good experience. Nice Ambiance. Little bit away from the road. Indian food and snacks options are less and no good taste. Periodic Shuttle service available. 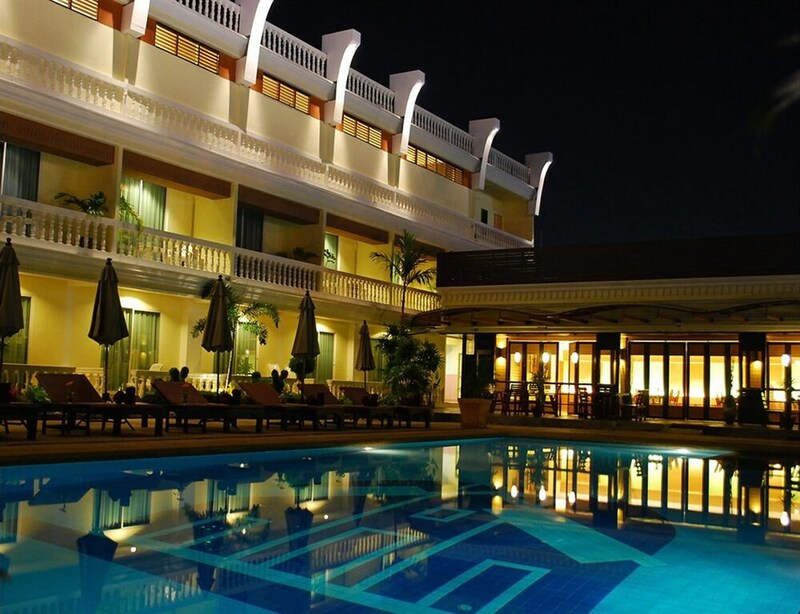 Its the best Centara Grand Mirage Beach Resort Pattaya with all the amenities. Its a place for family in Pattaya. You can spend 2 whole days without going out of property. The water theme park is loved by the kids a lot. I strongly recommend. Rooms were above expectations, neat, clean and classy. The pools are amazing. Very large property. Location is good, a calm place from all rush. They provided very friendly service. A must place to stay. I would 100% recommend it. Overall a nice experience with family. Food wise it has limited choice for veggies. Else all other things are really nice to make you stay with family nice one. Stand out for me was water activities, pool and all. Beach sand was kind of itchy, so came out in few min. Good foods. Good services. Nice of swimming park. My kid love so much especially the area which have nature sand. Jacuzzi inside the room is also very nice and convenience. In short, recommend for everyone who want to spend all holiday with family.